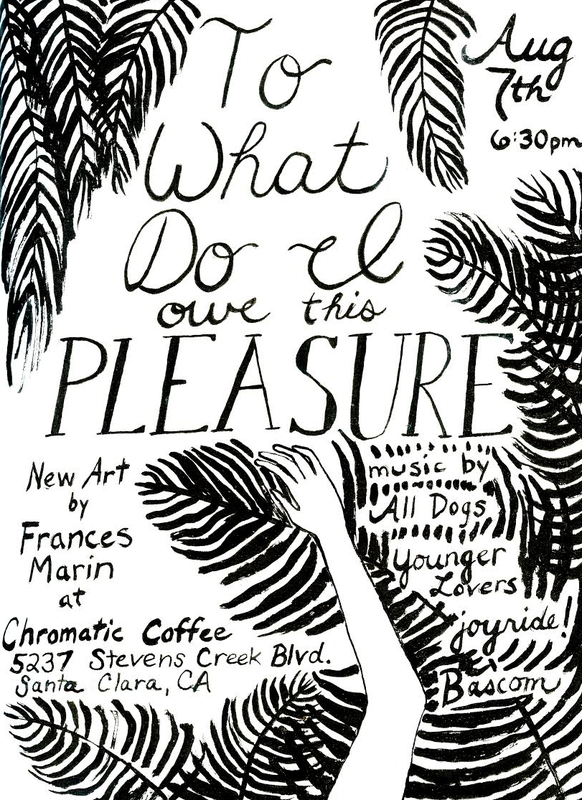 San Jose-based artist Frances Marin is presenting new art today at Chromatic Coffee. The show starts at 6:30pm and also features live music by All Dogs, Younger Lovers, Joyride, and Bascom. To get a feel for her style, have a look at the Frances Marin website over here.